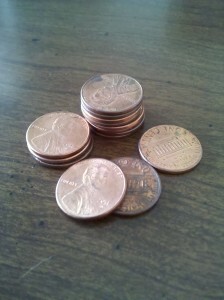 Credit card and medical debt can often be settled for pennies on the dollar. You do not need to hire a fancy fly by night late night television advertising debt settlement company to settle your debt. Give it a try yourself. You will probably realize a considerable savings. I have been filing bankruptcy cases for over 30 years. During that time I tried various methods to see what worked and did not work for clients before filing bankruptcy . In one test case, I volunteered my legal services pro bono with a young man who owed over $20,000 in credit card debt on 6 accounts. He had some money available, but he did not want to use it all to pay debts. To start, I suggested he invest half of his money in a 6 month certificate of deposit, so it would gain interest and be available in case he needed to use it. Then he began calling his creditors. I coached him on what to say and how much to offer. We started low, usually at 15 per cent of the debt. There were several phone calls to and from creditors as he tested the water to see what would be accepted and what would not. In some cases, we sent seed money, a small payment, a token of good faith to keep the collector interested. Some times he would go for weeks without hearing from anyone. I kept on him to initiate the calls to the remaining debt collectors and to stay motivated, and he continued to settle one account after the other. As negotiations heated, he texted and emailed me furiously for his next steps and what to say. We kept pounding away to get the settlement we wanted. It took almost eight months, but he was able to settle each account for less than 50%, some for much less. In each case, the collector took considerably less than the amount first demanded, thus proving the point that you should not hire a debt settlement company to do what you can do yourself over the phone for pennies on the dollar.